Top 5 Tips on Warm Downs and Recovery after Exercise! When it comes to exercise recovery, timing is critical. Here’s some great warm down techniques and the ideal time to use them. Studies have shown that the use of graduated compression can help accelerate recovery by decreasing lactate levels in the blood (Hill et al 2014). Check the label for graduated compression (a special compression which is highest at the ankle and decreases higher up the leg). Avoid ‘medical grade’ as it may inhibit blood flow. Time it right: Studies show that the most effective compression should be used during the event and continued after during recovery period. Benefits may be seen if compression is applied the following days during work (desk job) or if you’re standing on your feet for extended periods of time. Ice Baths have been used for years in performance recovery. Studies show that the vasoconstriction/dilation effects on the muscle tissue as well as reducing minor inflammatory responses can improve recovery after exercise. (Roberts et al 2014). It is a cheap and quick method of reducing immediate soreness. Simply fill a bathtub (or wheelie bin) with water and add one bag of ice. Submerge your body under the icy water (keeping the head out), stay in the ice bath for 30 seconds in and 1 minute out, repeating 3 times. Be sure to monitor how you feel to make sure you don’t have any adverse reactions from the cold. Time it right: Ice baths should be performed roughly 15 minutes after exercise, during which compression should be applied, to allow proper protein synthesis to occur. Massage before and after the event is vital to proper recovery and prevention of injury. 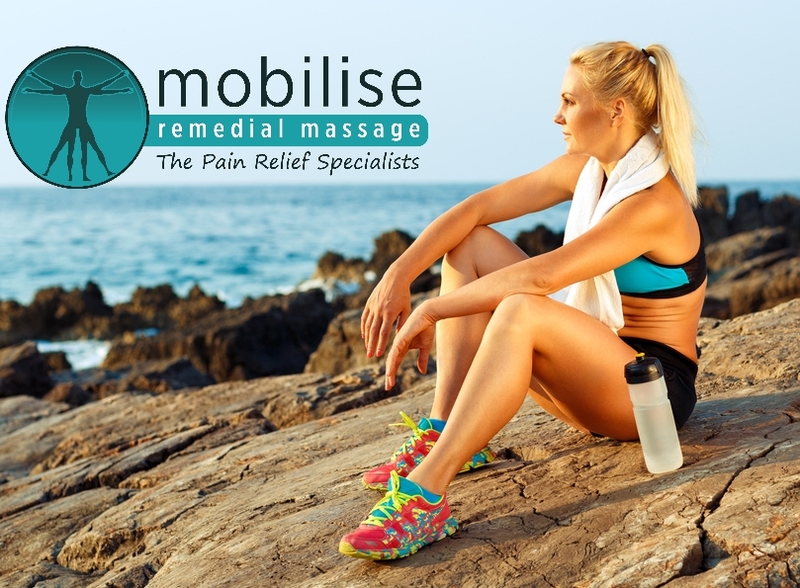 A Sports Massage therapist can perform post and pre-event sports massages. A foam roller and other trigger point tools can help to break up adhesions and knots in the muscle. Here’s a great article on the benefits of sports massage pre and post exercise. Time it right: The best timing for massage is 3 or more hours after the event, or 24+ hours before the event. Any earlier and it has been shown to inhibit the body’s natural lactate removal from the muscles. Active recovery is a functional exercise specific to your sport (run, ride, or swim) and is performed at around 60% intensity. Active recovery promotes blood flow and help to clear the metabolic waste, such as blood lactate accumulated from high level exercise. See here for more information. Time it right: Active recovery can ‘flush’ the body and should be performed early post event. Active recovery works well with compression as an immediate recovery technique. Rest is rest – that means no exercise and good sleep. Recovery is the most important facet of any training program, without it you are sure to break down and injure yourself. Time it right: Resting when your body needs it will be an ongoing endeavour. Everybody is different and their body can handle different demands, however recovery is a must for EVERY level of athlete – there is no substitute for rest! Why athletes need rest and recovery after exercise. Correct recovery is vital to any athlete, whether you’re a weekend warrior, or a professional. For more expert advice, come and see one of our Myotherapists today!